Shortage of IT talents is a serious issue that has been bombarding Australia’s headlines for the past couple of years. In October 2016, Arinda Online reports 38% of Australian employers to having difficulties in filling job vacancies due to talent shortages. According to The Australian Financial Review, ICT workers would reach over 700,000 in 2020. How can companies fill the evolving business needs and their demands for IT skills when there are lags in producing talents? Australia has a very strong technology appetite; hence, the need for a pool of IT skills that is not supposed to dry up. It may take some times before Australia can draw IT talents through its current initiatives. While waiting, companies must learn to overcome this challenge and employ managed services from IT support and services provider like ITSM Corporation. Managed Services Providers (MSPs) fill that need for IT talents and augment your enterprise ICT capabilities at the price point that is not going to break your IT operational budget. Organisations can access skills, expertise and ITIL-based processes. With that, your enterprise can be quick to adapt to the business needs and you as a tech leader can focus more on innovation and growth. The managed services cost is worth every penny when it means less hassle and more advantages to the company. Hiring talents can be very costly because of the tech talent war going on. If you are a mid-size organisation, it would be difficult to compete with large corporations that can offer more enticing remuneration package and perks to your ideal candidates. However, with managed IT services, your enterprise gain access to skills required to efficiently run your IT infrastructure. MSPs provide set of services determined by the company’s CIO. Depending on the organisation’s requirement, MSPs can assist in the daily IT operation, provide specific managed services solutions or they can take full management of your IT department. Alternately, your organisation can take a hybrid support model which is a strike between building an internal IT capability and outsourcing IT support and services. This model puts your company in control of IT management and gets the support where gaps exist. Are you having some challenges in recruiting an IT personnel? Are you in urgent need of additional hands to help your IT team? 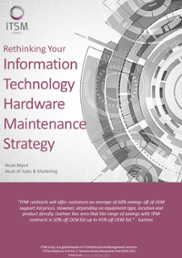 Or do you simply want to get an idea how much does managed services costs? Call us now at 61 2 8355 1080 or click the image below to schedule a consultation.